Made of high-quality, transparent vinyl that permits the monitoring of anesthesia during surgical procedures. The adhesive surrounding the surgical site fenestration keeps drapes from shifting and prevents contamination during surgery. The adhesive adheres to the patient and can be easily removed, even on feathers. 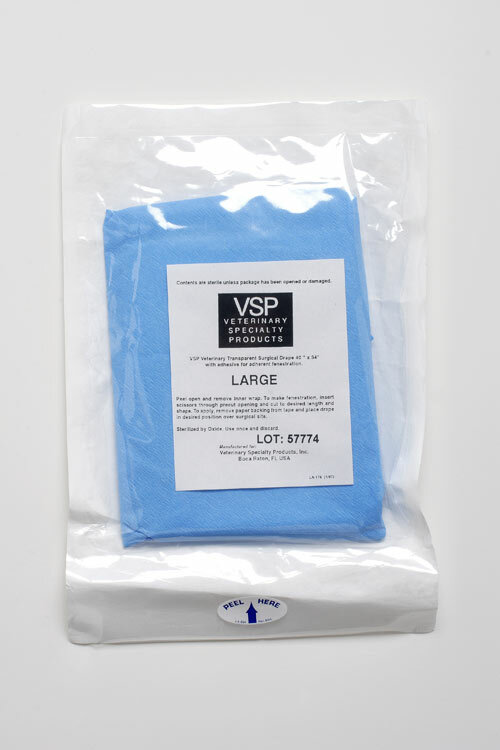 These latex-free drapes are individually wrapped and sterilized. Available in five drape sizes and four different fenestration sizes. The large drape size complies with guidelines for lab animal survival surgery.